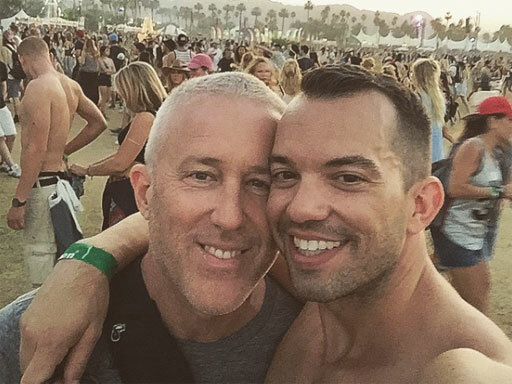 The New York Times has profiled Donald Trump supporters Bill White and his husband Bryan Eure, with the primary interest in the couple being they are that rare breed of openly-gay Trumpers. In fact, they are organizing a $5 million fund-raiser for the Trumpster this winter and boast about having Don Trump Jr. on speed dial. For years they enjoyed being a part of Manhattan’s liberal elite. They supported both of Hillary Clinton’s bids for president quite whole-heartedly, paid Aretha Franklin to sing at their 2011 wedding, and even hosted President Obama at a high-end $39,500-a-plate fund-raiser at their townhouse in Manhattan’s uber-gay neighborhood, Chelsea. But, per the New York Times, on election night November 8, 2016, while standing among the Hillary supporters in what everyone expected to be a celebration, White saw the writing on the wall in the election returns. Without missing a beat, he jumped in his car and drove to the New York Hilton, where Trump was celebrating the surprise win. Mr. Eure, a commercial insurance broker and a longtime Republican, was happy for the change of heart by his husband. From that point on, it seems the duo have no problem explaining away any perceived negatives of the president. This from the the man who is married to his husband only because of the progress made by liberal Democratic politicians and activists. Their drinking of the Trump kool-aid has earned them the ire of former friends with whom the couple used to hob-nob among. “Our democracy has been set on fire by this president, and they want what, an invite to Mar-a-Lago?” Merrill added. In fact, access seems to be very important to White and Eure. The Times article recounts an episode earlier this year at Ralph Lauren’s Polo Bar in Midtown Manhattan where the two men couldn’t seem to get Chelsea Clinton’s attention across the room. Incensed, White pulled out his phone and called Donald Trump Jr. According to White, Junior immediately offered to come right over. Mr. Eure shares the story of the time he was traveling to Philadelphia to attend the former Secretary of State’s address at the Democratic National Convention. As part of the story, he includes how the day’s inclement weather forced him to ‘borrow’ a friend’s helicopter. But upon arriving, they rushed to greet Clinton only to be blocked by a campaign official. “This was about because we didn’t write a $25,000 check,” Eure explains of the late campaign timing. But the Clinton campaign remembers the story differently. It’s worth noting that the Times piece almost glosses over the fact that White, a former president of the Intrepid Sea, Air and Space Museum in Manhattan, suddenly resigned from his position in 2008 and was forced to pay $1 million restitution after the state of New York had begun an investigation into whether he might have engaged in unlicensed commercial fund-raising. Along the way, White and Eure show little concern for the damage Donald Trump has done and will continue to do to the LGBTQ community. From removing all mention of LGBTQ people from the official White House website within hours of Trump taking office, to attempting to remove all transgender military service members, to the recent leaked memo that details plans to ‘redefine’ trans people out of existence, these two don’t care as long as they have their access. Actually, if you read the story, it’s beyond greed — it’s not about money. They’re just craven opportunists who want access to and accolades from whoever is the “winner.” Could be a progressive leader — could be a fascist. As long as they get star treatment. Vile.